Great for preventing sore feet, slipping and unfitting shoes. These half insoles have been designed to help prevent the burning pain in the balls of your feet (or heel if placed at the back of the foot). Help cushion and protect sensitive areas from shoe rubbing. 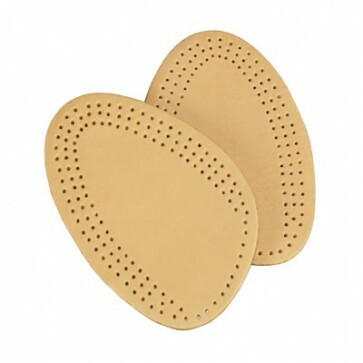 These half insoles fit discretely inside your shoe making the just about impossible to see. Provides protection from the rubbing and cutting that often comes with wearing shoes. These cushioned strips are ultra slim and discreet. They have a non-slip grip so they stay firmly in place and will provide protection and comfort.